Alarm.com's proven technology platform enables consumers to monitor everything that happens in their homes or businesses, not just alarms; they can keep track of activity on entry doors, windows, liquor and medicine cabinets, safes, drawers, and more. Unlike traditional security systems, Alarm.com does not require a phone line or broadband connection; Alarm.com services work wirelessly through a secure GSM network to maintain a dedicated connection that will continue to work for 24+ hours after a power failure. 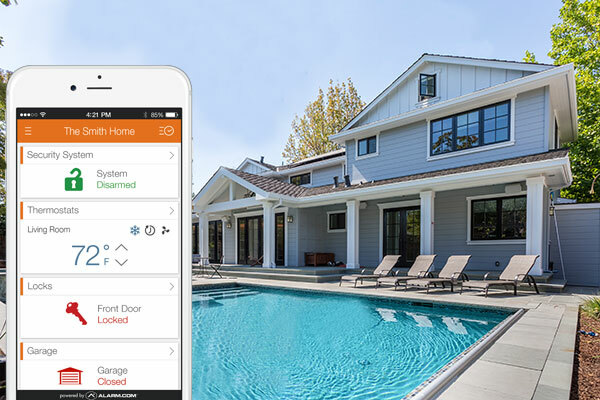 Alarm.com also offers Video Monitoring,emPower™ home automation, Crash & Smash Protection and mobile apps that let consumers enjoy anytime, anywhere access to their property. With Alarm.com, home and business owners can be in 2 places at once. Simple, flexible and powerful, Alarm.com is designed to fit your lifestyle. Put in your information below to access your account.